Ajmer Regency is a ideal accommodation for people looking for comfort at a peaceful ambience in Ajmer. It is a pleasant property that provides well-furnished rooms including mini fridge and with beautifully decorated interiors. 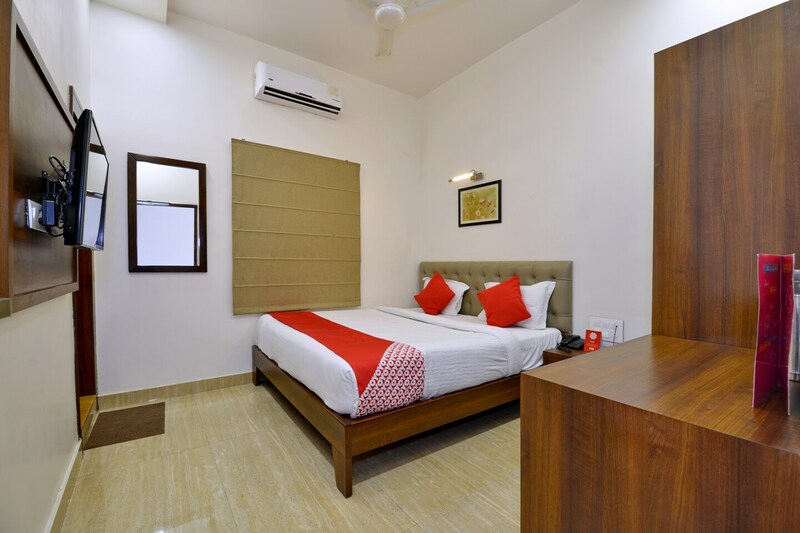 The spacious and super clean rooms have classy and sophisticated interiors with upholstered beds, wood work, framed pictures hung on the walls, and wooden furniture. The bathrooms are equipped with a geyser for cold weather. There is also a in-house restaurant area beautifully decorated where guests can have their food together and socialise and also a dining room. The property also provides free Wi-Fi, laundry service and power backup for the convenience of the guests.